The "reconquest" of the Seine's riverside expressways will be ushered in by Paris Mayor Bertrand Delanoë, following a long battle with Nicolas Sarkozy's recently ousted right-wing government. Continuous two-lane motorways have severed Paris from the banks of the Seine, recognized by UNESCO as a World Heritage Site, since Georges Pompidou opened them in 1967 under the slogan “Paris must adapt to the car.” Delanoë has made it his mission to reverse Paris' auto-centric planning mentality, increasing the number of bicycle and bus lanes in the city while implementing bike- and electric car-share schemes. The pedestrianization of the Seine also follows Delanoë’s Paris-Plages program, started in 2002, that transforms small stretches of riverbank into sand-covered beaches complete with palm trees and deckchairs for one month each summer. Starting next month, a stretch of road on the Right Bank starting at the Hôtel de Ville and running eastward a little more than half a mile will be narrowed and additional speed-controlling traffic lights and pedestrian crossings will be installed. Pedestrian corridors and bicycle lanes will be added to the road, along with bars and cafes (some of them on floating barges and islands). The next stage, to be unveiled next spring, will replace the road completely for a one-and-a-half-mile stretch of the Left Bank between the Musée d’Orsay and the Pont de l’Alma, creating an 11-acre park with volleyball courts, sundecks, and floating gardens. This corridor will be connected to the Right Bank by new pedestrian crossings at Debilly (adjacent the Eiffel Tower) and Jardins des Tuileries (adjacent the Louvre). It is expected these modifications will add only six minutes to the average commute while restoring access to the riverfront to Parisians and tourists alike. The Parisian gallery Patrick Seguin features 20th century furniture and architecture and is currently showing Jean Prouvé's 1956 Maison Des Jours Meilleurs from May 25 to September 29. But if you can't make it to 5 Rue des Taillandiers this summer, you can still watch the live set-up of the house in the gallery at Seguin's website. Construction takes place from 9:00 a.m. to 8:00 p.m. Paris time. Frank Gehry has referred to his design for the Louis Vuitton Foundation for Creation, a new home for the contemporary art collection of LVMH mogul Bernard Arnaud, as “a veritable ship amongst trees.” The project, located at the northern entrance of Paris’ Bois de Boulogne near the Jardin d’Acclimatation, hasn’t been without its share of controversy and delays, but the nearly 130,000-square-foot, 150-foot-tall building is moving ahead and is slated for completion in 2012. Though a hovering glass carapace will enshroud the museum, models of the design show the sails parting at various points to reveal concrete “icebergs” that form the building’s core. Since 2006, building material manufacturer Lafarge has been working with the building’s project team, prototype designer Cogitech Design, and precast concrete manufacturer Bonna Sabla to realize the design with Lafarge’s Ductal ultra-high performance concrete (UHPC). The Foundation’s concrete facade will require 16,000 exterior wall panels, each with its own geometry to match the curves of the nearly 97,000-square-foot glass facade. Because producing each panel individually was technically and financially unfeasible, Lafarge partnered with Cogitech and project management consortium RFR/TESS to develop a unique vacuum-casting process. The technology combines a flexible mold that can take on any curvature determined by a 3-D model with a master polystyrene template machined to the desired panel geometry. Named Moulage Sous Vide (MSV), it was patented by Lafarge in 2008 and has since won two innovation awards from the French Concrete Industry Federation. 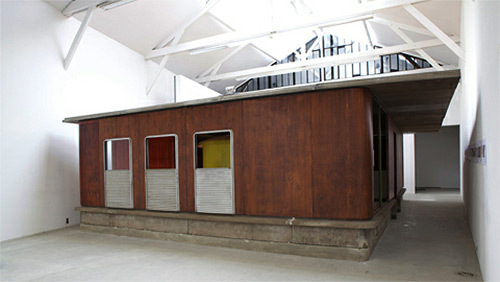 Using the MSV process, Bonna Sabla produced several prototypes, ultimately manufacturing 400 panels with identical dimensions, but completely unique curvatures, that were installed in a full-scale first run model at the building site in September 2010. The company began industrial production of the 16,000 panels this spring. “Our main challenge lay in keeping the mold sufficiently rigid, whilst retaining the suppleness needed to guarantee the exactness of the geometric forms, in conformity with the demands from the project managers,” said Patrick Mazzacane, Director of the UHPC Division at Bonna Sabla, in a release. “We optimized the vacuum molding process, in order to be able to use this during the industrial manufacturing phase.” After undergoing the MSV process, each Ductal panel is cured for 20 hours, then mapped to produce a 3-D report of its shape and ensure it is within 1 millimeter tolerance. The 35-pound segments are approximately 4.9 feet long by 1.3 feet high, and less than an inch thick. Because no two are alike, they are cast with a number and a radio frequency ID chip to ensure each can be traced throughout the installation process, which began this spring, and for maintenance in the future. New York vs. Paris. It seems that the Big Apple and The City of Lights are forever battling over design, architecture, fashion, and film. 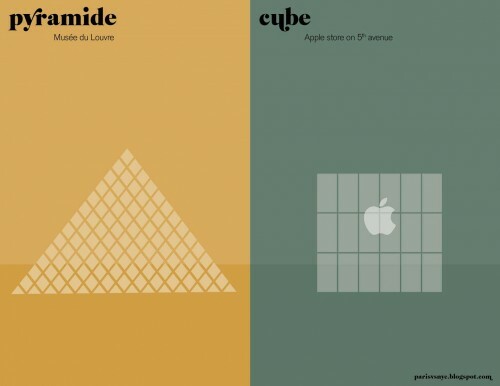 A Parisian graphic designer decided to take matters into his own hands, creating a website to display his witty color-block graphics that juxtapose these iconic cities. Topics are eclectic, ranging from landmarks (the Empire Sate vs. the Eiffel Tower), to architecture (5th Avenue Apple Store vs. Musée du Louvre), to food (cupcakes vs. macarons), to even car parking styles (parking lot towers vs. double parked). More at the NY Times T Magazine. Oil from plastic. Energy company Vadxx has invented reactors that can transform plastic scraps that can’t be recycled into crude oil with the lowest sulfur content in the world, says Good Magazine. The first reactors are slated for a recycling plant in Akron, Ohio. However, this begs this question: will the amount of crude oil created offset the amount of energy needed for the conversion process? Basket lights. A New Zealand designer, David Trubridge, has infused his lighting with the spiritual--looking to a Maori creation myth for design inspiration, writes Contemporist. The Maori believed gods gave humans three baskets of knowledge. Trubiridge designed three corresponding teardrop ceiling “baskets”: the bamboo light represents knowledge of the natural world, the polycarbonate light symbolizes knowledge of the spiritual world, and the aluminum basket signifies knowledge of the rational world. Farming Right Side Up. Spiegel Online reported on vertical farming research in South Korea as an innovative means of remedying food shortages on an increasingly urban planet. For the time being, agricultural scientist Choi Kyu Hong conducts his own version of Dickson Despommier’s Manhattan urban gardening project in an unexceptional 3-story industrial building, but Hong and his team have outfitted the farm with solar panels, LED lighting, and recycled water infrastructure hoping to attract enough attention to bring vertical farming to the global market and city skyscrapers. Hadid Stands Still. After touring New York, Tokyo, and Hong Kong, the Chanel Mobile Art Pavilion designed by Zaha Hadid claims its permanent home in the front plaza of the Institut du Monde Arabe in Paris, France. 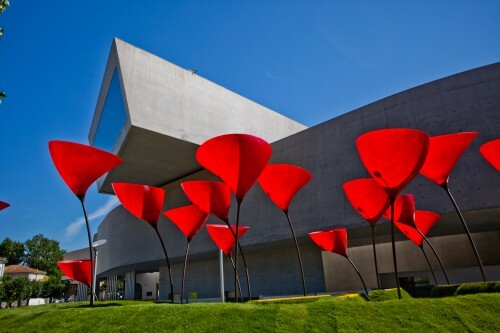 A Daily Dose of Architecture noted that the pavilion now features the Zaha Hadid Une Architecture exhibition, creating a thematically coherent viewing experience inside and out. Stirling Search. Bustler posted the Royal Institute of British Architects' (RIBA) shortlist for this year’s £20,000 ($32.5K) RIBA Stirling Prize. The list includes previous prize winners Zaha Hadid and David Chipperfield, as well as O’Donnell + Tuomey, Allford Hall Monaghan Morris, Bennetts Associates Architects and Hopkins Architects Partnership for the 2012 London Olympic Park. Bored to Death. After tunneling through the subterranean rock of Midtown Manhattan for the new Grand Central Terminal train station, the 200-ton serpentine drill will be left to decompose 14 stories underneath Park Avenue. The New York Times revealed that the Spanish contractor in charge of the 4-year excavation ensured the MTA that this internment is both practically and economically preferable to dismantling the drill. Going to the Chapel. Curbed posted the two winners of a pop-up chapel competition celebrating gay marriage in New York. ICRAVE's entry calls for a pavilion of colorful ribbons while Z-A Studios design forms recycled cardboard into a curving tulip. Both designs will built in Central Park this weekend where they will host 24 weddings. Day becomes night. Alexander Brodsky: It still amazes me that I became an architect will be open at the Architekturzentrum Wien in Vienna, Austria through October 3. Described by the gallery as a "total installation," Archidose also notes that during the exhibition "the day becomes night, the dimensions of space and time appear to slowly dissolve as one paces an archaeological chamber of wonders. Having returned to daylight, a selection of Brodsky's completed projects provides insights into his architectural oeuvre." (More images after the jump.) 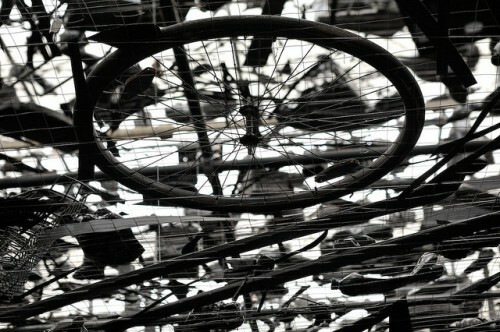 Steel becomes ribbon. Streetsblog reports that San Francisco metaphorically cut the ribbon, unveiling a new public space on the two-block Powell Street Promenade. The Union Square shopping district is greatly improved by the eight six-foot wide Walter Hood-designed benches, constructed to resemble delicate ribbons. Above the fray. The Westerholt E-66 Observation Wind Turbine stands out among the 40 turbines in the Holtriem Wind Park: it’s unique observation deck provides visitors with panoramic views of one Europe’s largest wind farms—for a price. Visitors must climb a 297-step spiral staircase to reach the viewing deck, according to Atlas Obscura. Under the city. Produced by Silent UK, the documentary film Beneath the Surface trails urban explorers as they descend below the cities of London and Paris, says PSFK. The explorers climb through sewers, old subway lines, reminiscent of the NY Times five-day adventure last December under New York. YAP to the Max. 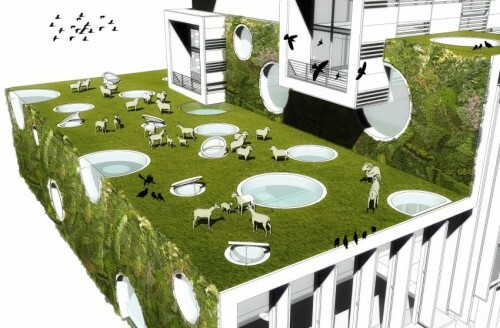 MoMA PS 1 and the MAXXI open exhibits of the now-transatlantic Young Architects Program, featuring the winners (whose concepts are now installed in New York and in Rome, above) and the finalists. Made of Glass. Designer Piero Lissoni utilized Glas Italia's prime material to expand the high-end manufacturing company's headquarters in Macherio, Italy. 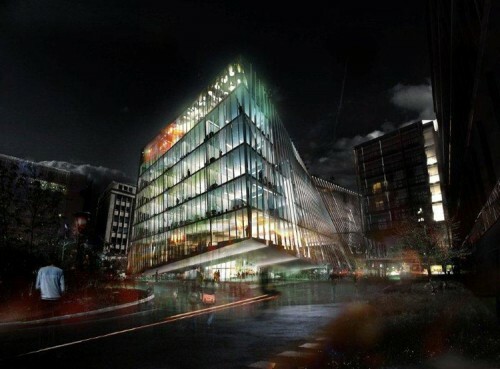 Azure reports that the new minimalist building is completely constructed out of glass, and looks best at night when the translucent structure becomes an illuminated box. Blight on the London Skyline. The phallic silhouette of the skyscraper, which won the 2004 Sterling prize, continues to generate controversy. The Telegraph records Ken Shuttleworth, a former associate at Norman Foster & Partners and the designer widely credited for 30 St Mary Axe, a.k.a. “the Gherkin,” expressing regret for his design of the tower. French Flat Iron. Architectures completes the Ministère de la Culture’s coveted Biscornet commission: a modern residential building amid Paris’ Haussmannian stock. 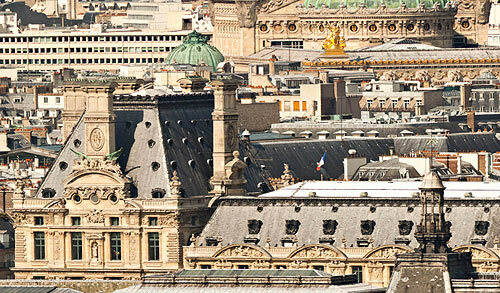 Architecture Lab notes that the trapezoidal-structure perfectly fits the slightly set back site on the Place de la Bastille, facing both the Gare de Lyon and the Bassin de l’Arsenal. The facade’s pleated metal panels shift to reflect the light and the time-of-day, emanating a golden shadow on the historic location. 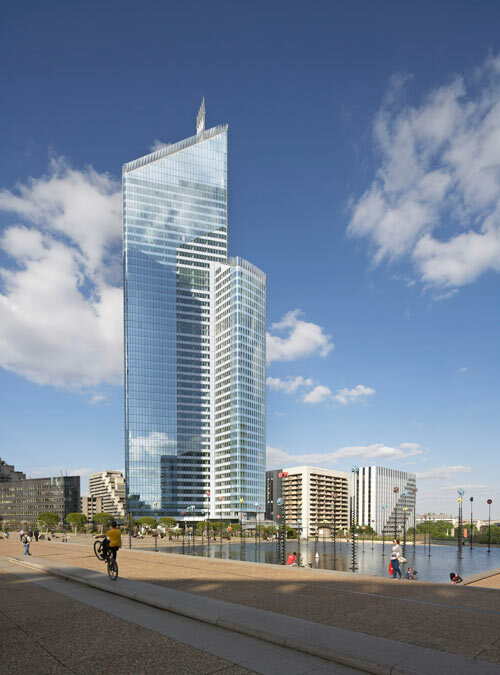 Kohn Pedersen Fox (KPF) shared a few images of their newly complete Tour FIRST tower in Paris, France, now the city's tallest building. Standing 760 feet tall in the city's La Défense district, the glass tower isn't completely new. It's actually a major addition on top of a 1970s structure designed by Pierre Dufau—a move the firm said makes the building more sustainable than new construction. New windows were punctured in the old structure's concrete skin and the building was opened up to surrounding public space. With Tour FIRST, New York-based KPF continues its skyscraper spree, having designed what are currently the tallest buildings in Hong Kong and London. 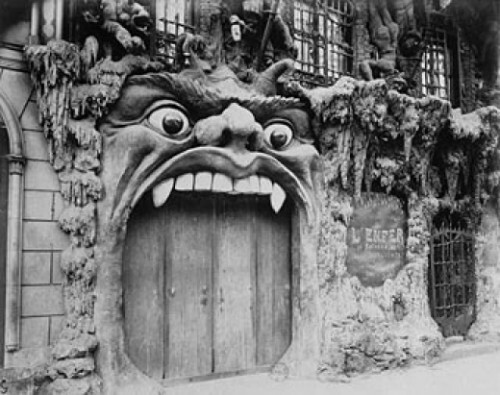 Red-hot bars and gratings through which flaming coals gleamed appeared in the walls within the red mouth. A placard announced that should the temperature of this inferno make one thirsty, innumerable bocks might be had at sixty-five centimes each. A little red imp guarded the throat of the monster into whose mouth we had walked; he was cutting extraordinary capers, and made a great show of stirring the fires. The red imp opened the imitation heavy metal door for our passage to the interior, crying, - "Ah, ah, ah! still they come! Oh, how they will roast!"